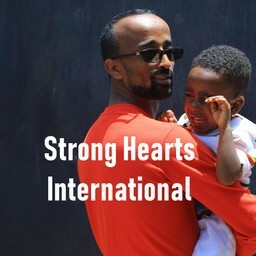 Strong Hearts provides quality care & education to inspire children from the Kore community to reach their full potential. YOU can help us make that happen! For just $38/mo. sponsors provide food, education and more! Children from the Kore community are accepted into our Child Sponsorship program according to their need. Orphans, vulnerable children, and the most impoverished are sponsored first. 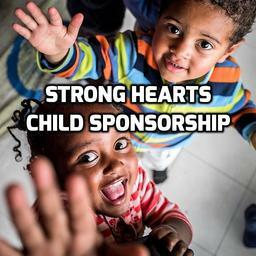 Students at Strong Academy selected for the sponsorship program have 100% of their education expenses paid. They also receive nutritious food (sometimes their only food for the day), school uniforms, medical care, immunizations, school supplies, extracurricular activities and counseling. Our Family Care Center provides a safe, nurturing place for children during the day so their mothers are able to work. This is more than a day care, it’s an orphan prevention program. Help us keep families together! Families in this program may not otherwise be able to provide for their children and run the risk of having to find alternative care for their children (i.e. orphanages, abandonment, relinquishment to extended family). By providing childcare, mothers and fathers are able to generate income in order to preserve their families.